Eleanor Roosevelt once said : “to handle yourself, use your head; to handle others, use your heart.” She was a very wise woman. This is exactly what TEDxAccra is all about, developing the TED experience at the community level. It all started in 2014 when a group of volunteers headed by Emmanuel Leslie Addae organized themselves to create TEDxLabone, an event in Accra. They achieved great success at the conference by drawing influential personalities from around the country such as Uche Ofodile, Hanna Tetteh, Papa Akhurst, Kojo Oppong Nkrumah among a host of others. This year organizers are stepping it up and encompassing the whole of Accra instead of just a district like last year. 2015 TEDxAccra promises to be an event that simply cannot be missed. The theme of the 2015 conference is “Next Chapter.” This is in line with the country’s development plan: Vision 2020. It is a trend that many African governments have adopted this includes Kenya which has vision 2030, Tanzania which has Vision 2025 and Rwanda which has Vision 2020 as well. These are collections of development goals and the problems they are supposed to solve. They are necessary because in the past we have seen our leaders make promises that have no deadlines and are thereby never fulfilled or these same promises are abandoned with every change of government. Ghana is only 5 years away from achieving their vision 2020 and for this reason they need to investigate how the future of technology, entertainment, design, science and education will fit with the development plans laid out by the government. It is for this reason that speakers will share with the audience the different areas they are passionate it and the ‘next chapter’ of those ideas. 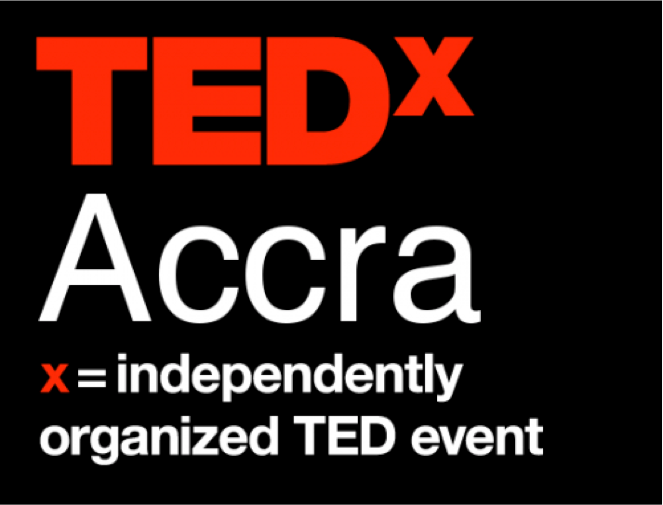 TEDxAccra is undoubtedly going to be spectacular simply based on the theme mentioned above. It is however also going to inspire innovative ideas that could potentially change the country. Notable personalities that will be speaking and facilitating the different sessions include Rita Kusi, Kafui Dey, Bernard Kelvin Clive, Sheila Aboagye, and Fifi Baidoo just to list a few. It all begins on the 11th of April 2015 at the National Theatre in Accra, and if you are available and would like to attend tickets are still available here.